T-Rex casino slot game by RTG online slots is “big” because of its progressive jackpot size, not for the size of the dinosaurs. (Ok, dinosaurs are pretty big too.) This pre-historic video slot game contains nice-enough graphics, lots of dinosaurs and coin filled volcanoes – a feature specific to that era. There are 5 reels and 25 pay lines in the game. Because of the basic rule set, even the beginner level players can enjoy the game with ease. If you play at Casino Avenue, you can try the free slots no download version of the game too; practice as long as you want completely for free. T-Rex online slot game by RTG has five main and high-valued symbols, with a payout range of 10 to 5.000 coins. They are shown with pictures of different dinosaurs and volcanoes. There are also numbers and letters which are used to represent low-value symbols. The picture of the mighty T-Rex counts as the wild symbol and it substitutes all other ones (except scatter). It appears only on reel 3 during the normal gameplay and doubles the prize, if it is used to complete a winning combination. In other words, all symbols start to pay double if wild is involved. The wild symbol also has a payout of 10.000 coins if you receive five of them. As for the scatter symbol, it is shown with a picture of a dinosaur egg. A pick feature triggers when three scatters appear on reels. You get to pick between dinosaur eggs and each one will award you with 10 free spins. During the bonus round, wild symbol eliminates all other dinosaur symbols on reels and replace them with wilds. Free spins can be re-triggered, up to 200 free games. Winning the progressive jackpot pool is completely random and can happen at any time during the game. The coin values of the game start from 0.01 and goes as high as 0.25 coins. The maximum bet amount is 0.25 coins too, and you have 1.000 complimentary coins in the demo mode, so go wild. 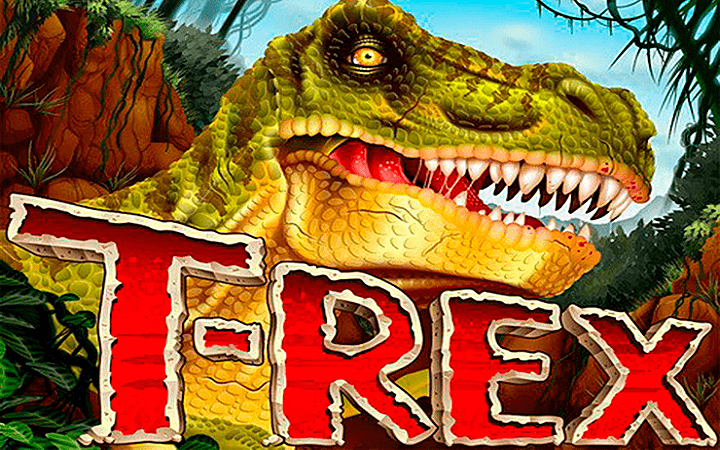 T-Rex is a low-cost / high-payout slot game and it is suited for everyone. Because of this, it easily enters to our “recommended” list.